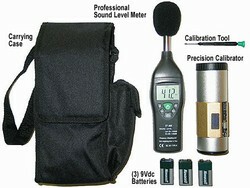 Industrial and Residential Sound level measurements. Allowable Humidity Temp. -10°C ~ 60°C @ 70% RH Max.